Snowshoeing is an activity for everyone to enjoy, as it allows a slower pace to immerse one self within a serene and still winter wonderland. 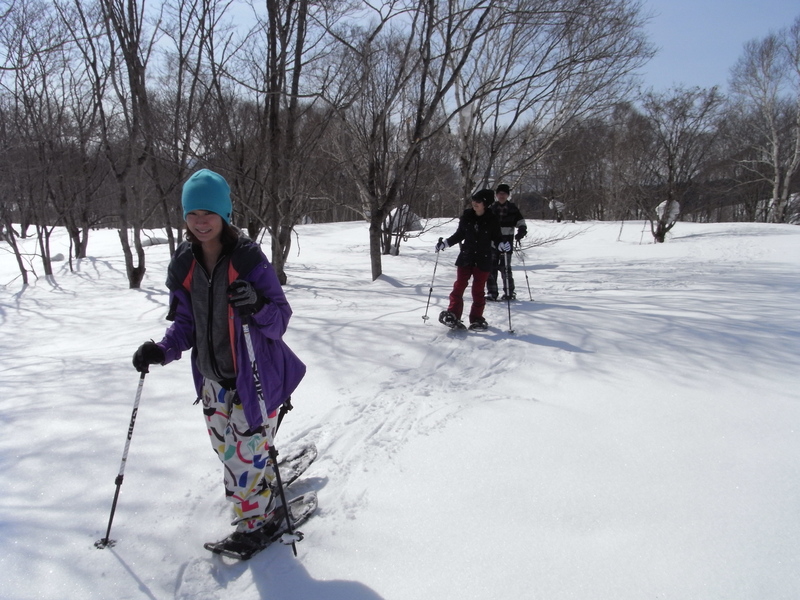 Another great way to explore the gentle countryside by gliding through quiet surrounds, cross-country skiing uses longer, thinner and lighter skis to follow grooved trails. A resort operated guiding service that offers experienced guides to guide you around the resort and throughout the Backcountry as required. 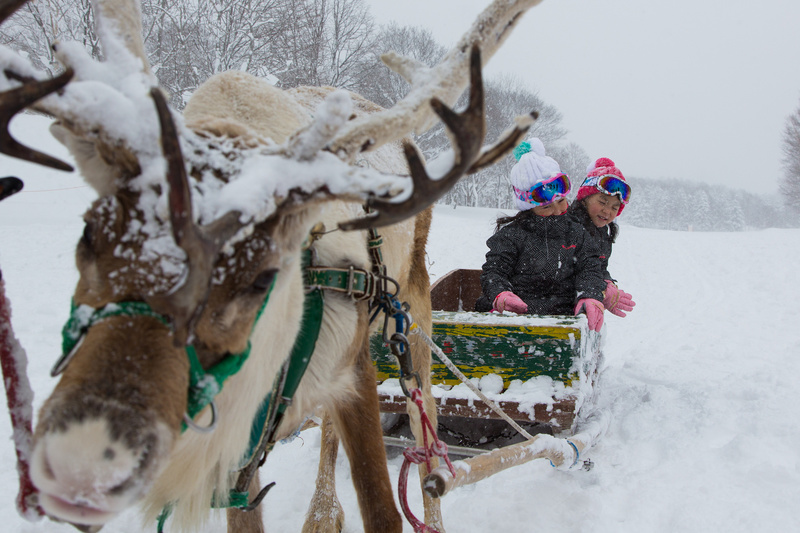 With new tours in the Niseko Mountain range and a FIRST TRACKS service starting in Hanazono, you will not be disappointed with your HPG tour. Visit our website for all the details. 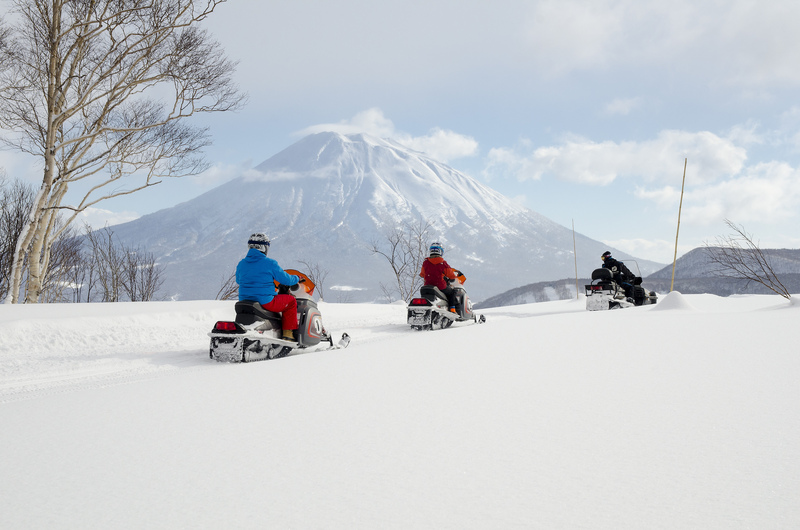 Take an adventure through Niseko’s renowned powder snow on your very own snowmobile. 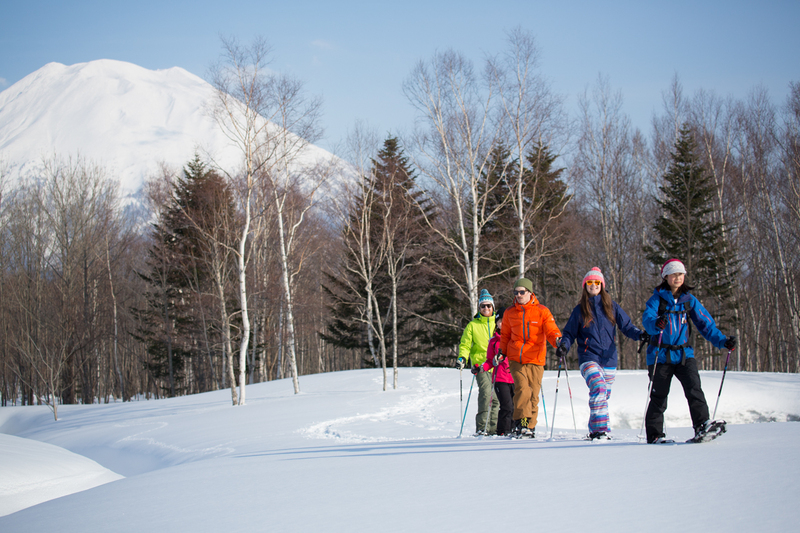 Our experienced guides will take you via the lush forests, through snow covered pastures and to some of the most awesome views of the Niseko range and beyond. 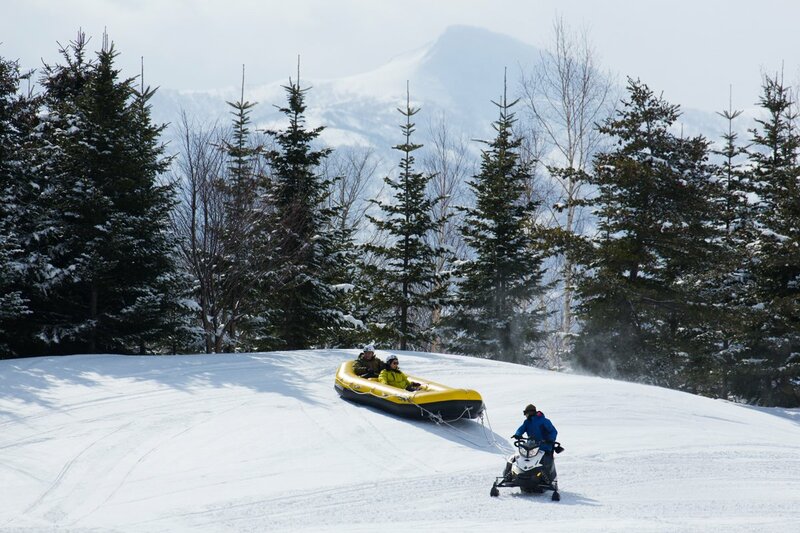 Tandem and single snowmobiles are available along with group and private tours. We also have kids specific snowmobiles designed for 6 to 12 year olds! Visit our website for more information. Run by the Hanazono team, so you know you are in safe hands. 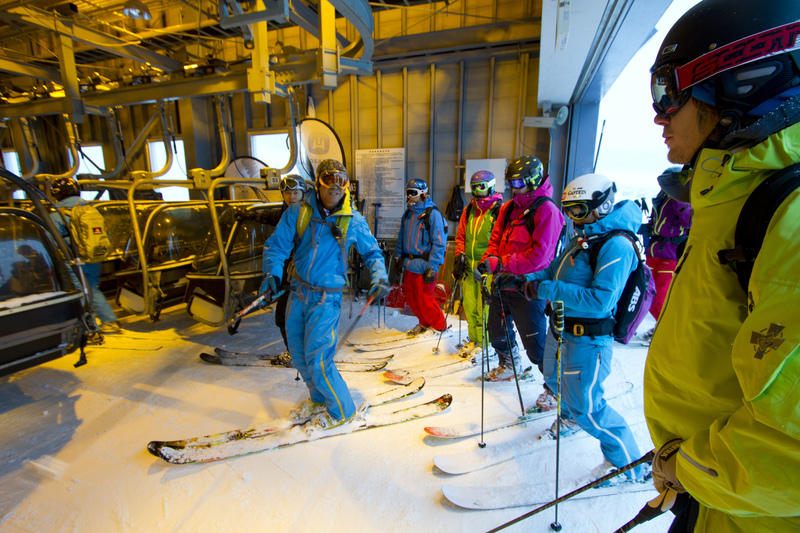 Weiss Powder Cats offers 12 lucky people a day access to their own private mountain. Ideal for the powder hungry skier or board. Offering a new Cat assisted BC product this year only enhances the product further. 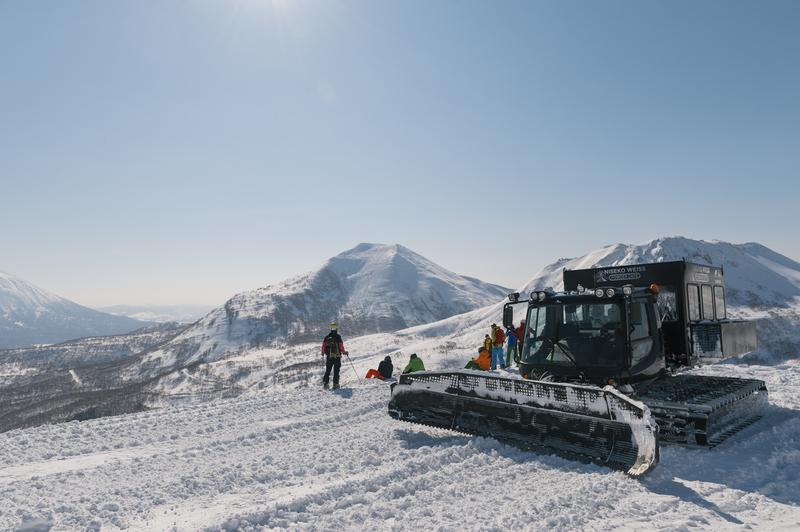 With pick up and drop off anywhere in Niseko, Weiss Powder Cats is your ideal cat skiing experience. Join us on a beautiful adventure through the Hanazono forest. In an intimate group of no more than eight, we will explore the peaceful nature surrounding Hanazono. Enjoy a hike through the tranquil winter forest covered in white powder. 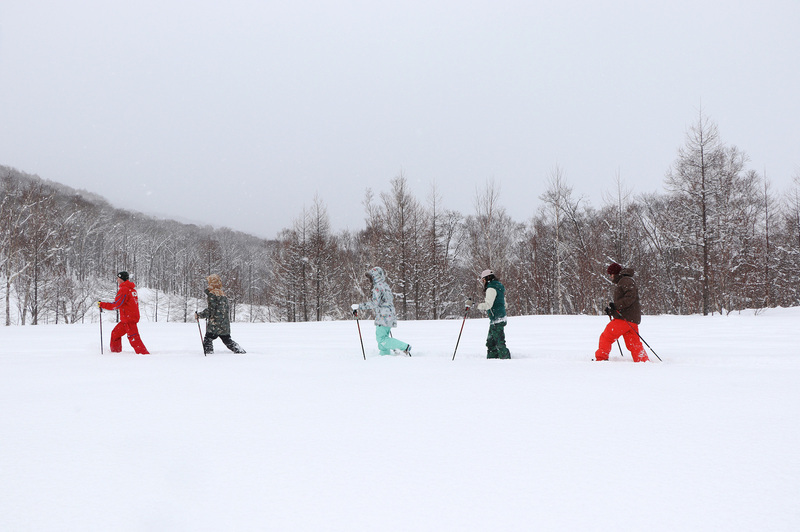 Our tours use either snow shoes or “snow ramblers” – a special kind of ski for traveling in deep snow. This program is open to everyone, regardless of prior winter sports experience.